Zaion: I Wish You Were Here - "Trapped in a maze with no exit." It is somewhat fitting that you've made your way to this feature here at Animefringe, for the Internet played a large part in the planning stages of Zaion, otherwise known as I Wish You Were Here. 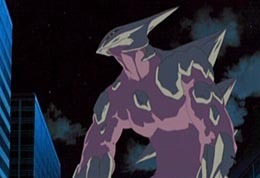 Originally planned to be aired as a weekly streaming video anime series, the producers eventually decided to change Zaion into a four-episode release aimed for home video. However, in Japan, they did stream it online before it made it to DVD. For those of us who may not have been able to catch this in a real-time downloadable format a couple of years ago, ADV has kindly released the series in the US for the first time. On the surface, it may appear to be merely another sci-fi mecha action show, catering to those of us who only need to see big metal things hitting other things and blowing their immediate vicinity up real good. There's (thankfully) more to Zaion than that. The premise for the show is undeniably familiar, especially for longtime hard science fiction aficionados. Think of Michael Crighton's The Andromeda Strain, Prey, or even more recent theatre-related offerings such as Outbreak or 28 Days Later, and you have a bit of an idea of the gravity of the situation facing the human population of earth. The good news is, humanity now has essentially undeniable proof that there is in fact life on other planets. Every living organism on our pale blue sphere possesses RNA composed of the same four elemental base pairs (adenine, cytosine, guanine, and uracil, if you're curious). Yet, a form of life that contradicts this planetary biological standard - once with RNA sequenced with a fifth unknown component) has arrived on earth as a passenger of a falling meteorite. The bad news is, this life form is a particularly nasty virus (named M34) that converts humans into violent deformed monsters. Luckily, there's always a secret organization with weapons that may turn out to be mankind's only hope against the spreading infection. C.U.R.E. is the group we get for Zaion. While this simple acronym looks promising (it stands for the Committee of the Universal Resolution of Ecocatastrophe), C.U.R.E. is a suspicious bunch that uses their employees as mere cogs in a well-oiled machine of righteousness. Our main protagonist, Yuugi, isn't too keen on being used as a cog. Nanomachines are devices that actually exist, though modern science hasn't quite perfected them to the point they're depicted at in Zaion. They're essentially machines on a molecular scale designed to performed cell-sized tasks within a host body. Often controlled by microscopic computers (which are frequently nothing more than a simple chain of logical commands), these artificial helpers can be used to clean out clogged arteries, report on the status of hard-to-view organs, and even repair certain internal failures to a small degree. The potential for these machines is almost limitless, and it doesn't take too much imagination to envision the possibilities. In the show, NOA soldiers are able to force these tiny machines to the surface of their skin, forming a protective exoskeleton (visually similar to the hard suits in Bubblegum Crisis) that helps keep out the virus and the attacks of the infected. So far, there is no cure for M34, and C.U.R.E. 's only choice upon detection of a new outbreak is to eradicate the victims. When discovered, a fleet of MOBs (Multipurpose Operative Beings - yes, another acronym) is first deployed to take out a suddenly hostile force of former humans. MOBs are robots with impressive offensive capabilities. While they may be expensive, they are more expendable than the lives of trained men and women. Yet, as I mentioned earlier, the MOBs don't work alone. That's where NOA comes in. While the future contains some promising technology, it still takes humans reacting to their immediate situations to truly end each M34 threat, and thus NOA cleans up the remaining survivors of the MOB assault. Now, I said that this is more than merely an action show featuring nanotechnology and robotic arms, so this is where we get to the meat of the series. When the show starts, the virus is winning. While the general population is unaware of the severity of the threat against them, C.U.R.E. and its personnel is all too conscious of the immediate threat to the continued survival of humankind on earth. As Yuugi receives more and more pressure from his higher-ups, he starts to question his purpose in life. The infected creatures he's forced to destroy were once human, and it pains him to kill them, even if they are a threat. He's only eighteen, and he carries out his orders despite his misgivings, but it's starting to get to him. After a particularly bad mission (which was worse for the new recruits who didn't make it back), Yuugi becomes distraught. His overwhelming feeling of being trapped in a maze from which he cannot escape begins to gnaw at his sanity. When one of his teammates mentions the rumor of a new weapon that C.U.R.E. plans on pitting against the M34 virus, he becomes slightly hysterical in the hopes that he may no longer have to risk his life, instead relying upon this new force. And then he meets her. Ai, or as the scientific team that helps maintain her call her, Unit-i, is a sixteen year-old-girl who also happens to be the rumored new weapon, Yuugi's salvation. Armed with mysterious psychokinetic powers, Ai quickly displays her value as an emergency precaution - if not an outright solution - protecting against the extraterrestrial viral threat. Thus, the real story begins, and we begin to think less of the nanomachine technology and viral invasion of the planet and focus more upon the potential love between these two lonely people, trapped in a labyrinth devoid of an exit. Both Yuugi and Ai have been forced down the path they travel due to external circumstances beyond their control. While Yuugi is losing his mind trying to come to grips with his life, Ai is on her way to doing something far worse - she's sealing away her own needs and desires in order to make herself a better tool for C.U.R.E. Only Yuugi can help Ai start living for herself, and only Ai can provide Yuugi with a purpose for caring about survival, but with the forces of the virus as well as the members of C.U.R.E. standing in the way of the couple's union, they may not get what they need. We'll just have to see. With a progressive rock soundtrack composed by Kenji Kawai, the man behind Patlabor WXIII, and an intriguing science fiction storyline that is merely the basis for a realistic love story, Zaion promises to be more than an average anime release. Another reason to anticipate this series is the pedigree of its animation production house - Studio Gonzo. Gonzo produced the animation for Blue Submarine No.6, Hellsing, and Full Metal Panic, and so I'd expect to see the same degree of quality in this release as those three visually solid series. At the very least, the story has me hooked all ready.